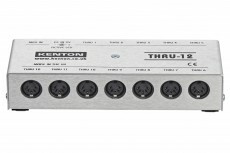 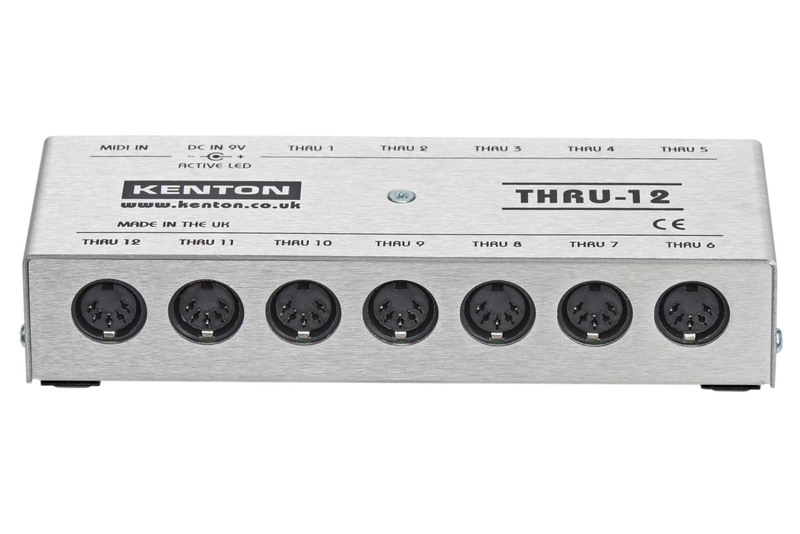 The Kenton Thru-12 is a small box for splitting MIDI signals. 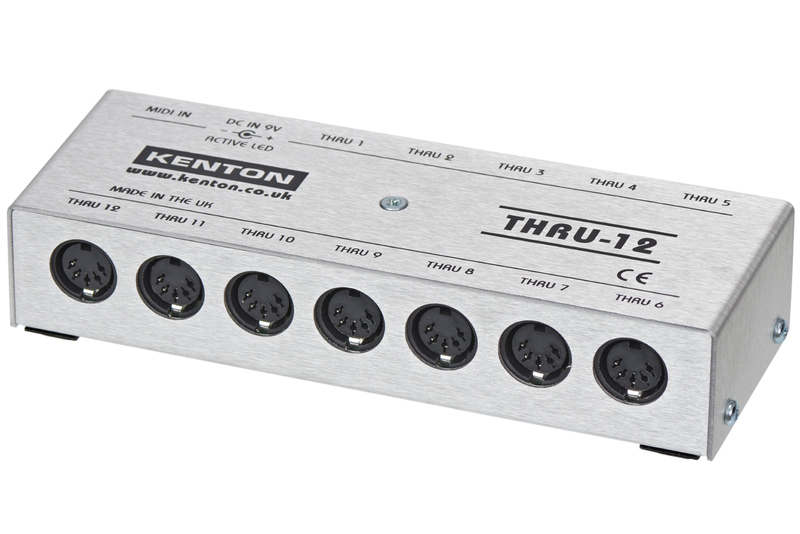 The signal at MIDI input is being output at twelve parallel MIDI Thrus. 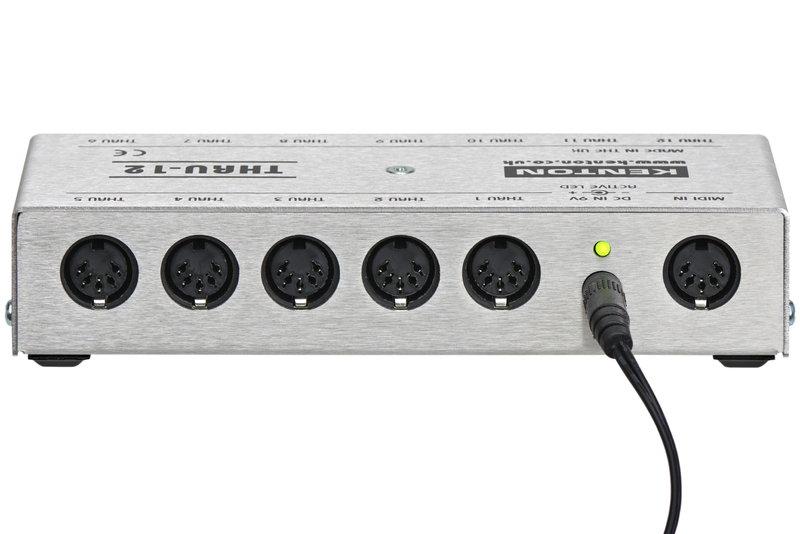 Works for ALL MIDI messages including Clock, SysEx, MTC etc.